Good morning ... Hey, if you're enjoying Vitals, why not mention to your friends or coworkers that they, too, might enjoy Vitals? And if someone forwarded you this newsletter, feel free to sign up — everybody can join the party right here. Pharmacy benefit managers have an enormous role in determining how much consumers pay for prescription drugs. But they operate largely in secret, making it hard to objectively assess how well they actually help consumers. Driving the news: Last month, my colleague Bob Herman obtained a copy of a template that Express Scripts, the country's biggest PBM, used for its contracts — a document that helped shed new light on a particularly opaque part of the health care system, and one that affects us all. We also posted the template itself on DocumentCloud, so our readers could evaluate it for themselves. After initially brushing off the template as out of date and irrelevant, Express Scripts forced DocumentCloud to take down that document after our story ran. But this is still important. So we've dug even deeper into PBMs' contracting practices. Bob read through that Express Scripts document a couple (dozen) more times, called more experts, and obtained additional PBM contract information through publicly available channels. Why it matters: Americans fill 4.5 billion prescriptions per year. The biggest PBMs are profiting from the vast majority of those transactions, largely through sophisticated and complex financial engineering. Critics argue these tactics contribute to the country's high drug prices, which makes it important to understand how all of this works. What's next: In lieu of reposting the initial document, today we're presenting you with a five-part deep dive into this part of the drug-pricing process and the specific practices that tilt the balance of power toward PBMs. Start here: The drug-pricing contract Express Scripts doesn't want you to see. The House and the Senate have now passed differing versions of “right to try” legislation, which would create a new process for terminally ill patients to try drugs that are still being reviewed by the Food and Drug Administration. But the path to reconciling those two bills is unclear. What we're hearing: Senate aides told Axios’ Caitlin Owens they're skeptical the bill will get Senate floor time. Minority Leader Chuck Schumer previously objected to passing the House version by unanimous consent, saying he's committed to a compromise as well as "moving forward on the Senate bill." Sen. Ron Johnson has asked the House to pass the Senate bill, which he sponsored. But the House already had the chance to do that, and chose to write its own version instead. Plus, the House made changes requested by FDA Commissioner Scott Gottlieb. A senior GOP aide pointed out that if a "right to try" bill did go to the Senate floor, it could attract controversial amendments on drug pricing. It also would take up time that leadership wants to use in other ways. Another option, though, would be to attach the House "right to try" measure to a separate FDA bill scheduled to move later this year. Between the lines, per Caitlin: Yes, Senate GOP leaders have other priorities and an interest in avoiding controversial votes. But it also doesn't help that Johnson has been a constant thorn in Majority Leader Mitch McConnell's side over the past year, and annoyed the rest of the caucus in the process. One side effect of the leadership change at the Department of Veterans Affairs: Even more uncertainty for its expensive and controversial contract for a new system of electronic health records. The intrigue: This process has been dogged by controversy for over a year, beginning with then-secretary David Shulkin’s decision to award the contract without a competitive bidding process — a move that was reportedly influenced by Jared Kushner. A handful of vendors sued the VA last year for not giving them a chance to compete for the project. The work went directly to Cerner, which manages similar systems for the Pentagon, with the hope that the two departments’ records would finally be interoperable. But the Cerner contract has seen multiple delays and staggering cost increases — the overall project is now projected to cost the VA nearly $16 billion over 10 years. And Cerner’s contract hasn’t been finalized. Shulkin had paused the proceedings to conduct a review, and no one is quite sure what happens now that he’s gone. Why it matters: $16 billion is an awful lot of money, and it’s particularly a lot of money to spend without soliciting bids. At the same time, there’s relatively broad bipartisan agreement that the VA and DOD systems do need to work better together. 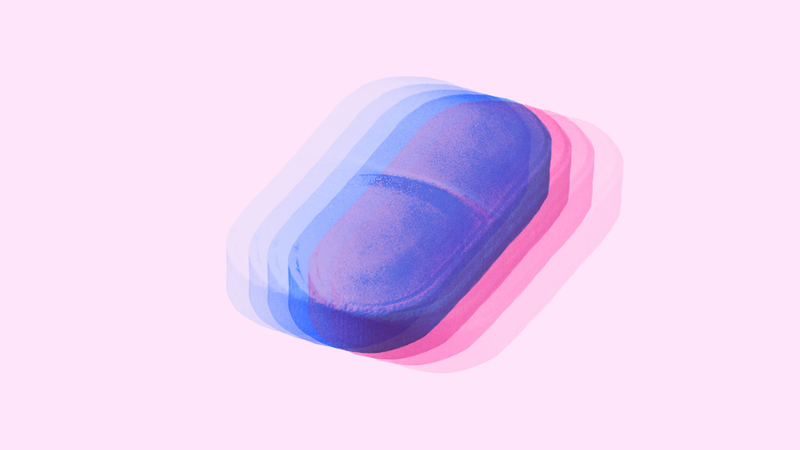 Opioid prescription rates are falling nationwide, my Axios colleagues report. Democrats still don't have a unified message on health care ahead of the midterms. California Attorney General Xavier Becerra sued Sutter Health, the state’s largest hospital system, accusing it of anti-competitive practices that made care more expensive. California also enrolled almost half a million people in Medicaid who might not have been eligible for the program, according to Kaiser Health News. Massachusetts paved the way for the federal coverage expansion under the Affordable Care Act. Now it's taking on drug prices, The New York Times reports. What's on your radar this week? I always welcome your tips and feedback. Send to baker@axios.com, or just reply to this email.